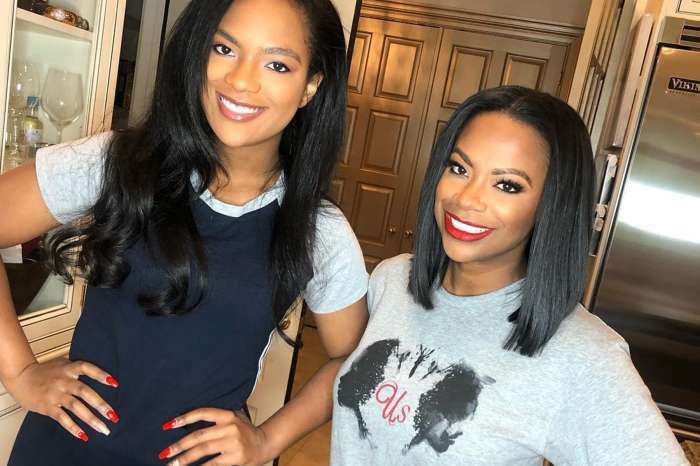 Kandi Burruss shared a photo with Kenya Moore on her social media account. Fans were happy to see both their favorite ladies and had only kind words for them. Here’s her Instagram post below. ‘This was my first time attending an #AtlantaUnited game & we won the championship!!! @thekenyamoore & @keishabottoms were in the building! #Champions’ Kandi captioned her post. This was my first time attending an #AtlantaUnited game & we won the championship!!! @thekenyamoore & @keishabottoms were in the building! #Champions ??? In other news, Rasheeda Frost, Kandi Burruss, and Toya Wright have been making some secret moves lately. They have been teasing their fans with some sort of secret project that they are working at codenamed BBC. The ladies’ project will probably make its debut sometime in 2019. All of them keep posting all kinds of teasing pics and videos, and now fans keep guessing what it might be. Their fans and followers believe that these ladies are planning to open a shop or launch a cosmetic line. We’ll just have to wait and see what they are preparing for us.